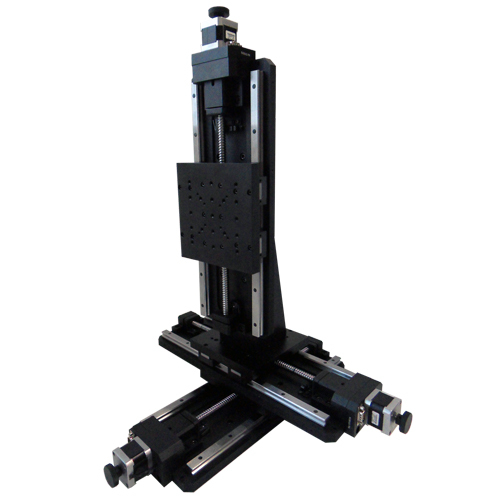 Three bearings structure configuration, suitable for repeatable movement with high speed. 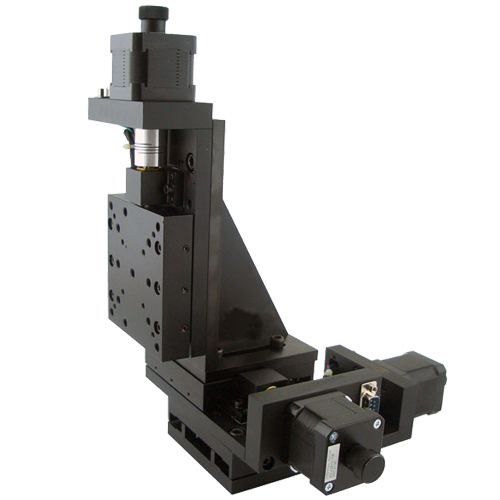 Assembled by three motorized linear stage MOX-06-150, MOX-06-200, MOX-06-300, MOX-06-400. We can assemble the motorized linear stages to xy stage, xyz stage, xz stage according to customer’s requirement. Please contact us if you have special requirement on the xyz stage. For protecting your components mounted on Z-axis stage when the power is cut off suddenly, we suggest you to use the translation stages with protector as Z-axis stage.